OrthoXel is an orthopaedic trauma device company focused on evolving fracture fixation through evidence-based biomechanical implant design. The Company thoughtfully designed its flagship Apex Tibial and Femoral Nails with a focus on fundamental principles of bone healing, all while keeping the surgeon’s needs in mind. Every OrthoXel product features innovative locking modes not found in any other implant system on the market and all are meticulously designed and engineered to produce the best possible clinical results for every patient. 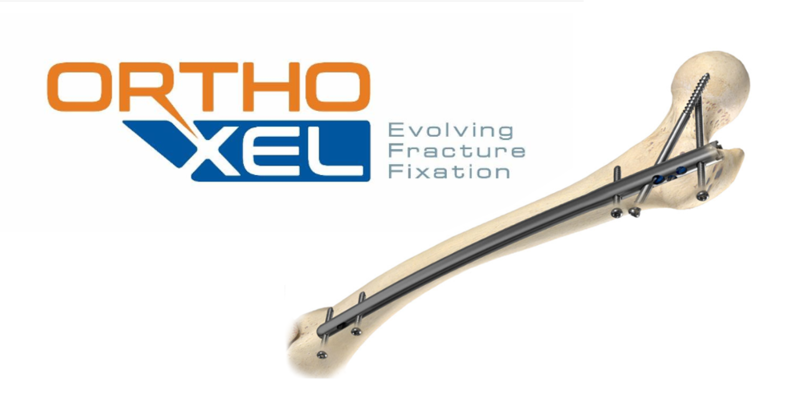 The OrthoXel Apex Tibial and Femoral Nailing Systems are all built on a core patented technology that achieves fracture fixation with one millimeter of controlled axial and exceptional torsional stability. This micromotion technology principle was conceived as a result rigorous research, including multiple peer-reviewed articles and studies published in Clinical Biomechanics, and represents the culmination of decades of published evidence on the optimal conditions for fracture healing. Until now, this carefully tuned combination of controlled axial flexibility with anti-rotation stability had never been achieved in an intramedullary construct. The OrthoXel Apex family of nails is also packed with features to suit a wide range of clinical needs, from absolute rigid locking to the innovative multiplanar fixation of the combined antegrade/retrograde femoral nailing system. Micromotion fixation designed to promote callus formation. Rigid cross locking to achieve extraordinary construct stability with quick and simple application of a locking endcap. Gold-standard dynamization to provide controlled fracture apposition while retaining incomparable proximal fragment stability. The meticulously designed nailing system achieves optimized fixation biomechanics with familiar surgical techniques and intuitive instrumentation. The Apex Femoral Nailing System is the ultimate evolution in femoral intramedullary nailing. It is the only femur nailing system on the market to feature micromotion fixation along with new trajectories of advanced locking options to offer unparalleled implant flexibility, resulting in optimum fixation for a wide range of femur fracture types. The Apex femoral nail is the only product with multi-planar micromotion to stimulate callus formation, as well as recon and rigid interlocking modes for unstable trochanteric/proximal fractures. This combined antegrade-retrograde, piriformis-entry implant system also features an anatomically optimized curvature nail for right or left compatibility. With a single nail for right and left leg, antegrade and retrograde insertion and a combined instrumentation kit, this streamlines inventory and instrumentation for the hospital. Both the Apex Femoral and Apex Tibial Nailing Systems are FDA 510(k) and CE Mark Cleared. Post-market clinical follow-up studies are ongoing for the Apex Tibial Nail System. To date, multiple surgeons have successfully completed and repeated implantations, and have provided positive feedback on the device. They have treated both low- and high-risk patients with multiple comorbidities who have healed and been discharged from follow up. With recruitment ongoing, initial clinical results will become available beginning in summer 2019. 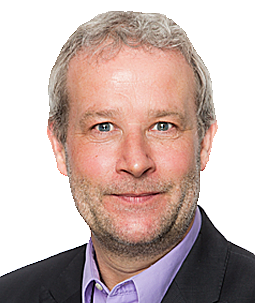 Generating clinical data and surgeon endorsement in Europe and the United States to support claims with regards to accelerated fracture healing and improved clinical outcomes. Creating the appropriate market access models to enable rapid uptake in the United States and key OUS markets. Generating further surgeon use and endorsement outside of the initial clinical study in key markets of Ireland, United States and the United Kingdom. Determining route to market, partnerships and sales channels in these regions. Receiving CE mark and 510(k) clearance for the Apex Tibial and Femoral nail products on the first application, including femoral nail ahead of typical timeline. Completing clinical cases in Ireland for the Apex Tibial Nail system now having patients healed and post market clinical evaluation ongoing. Patent granted for the background technology principles and a number of foreground patents for product specific features.